First, a disclaimer: in most cases, we don’t think Super Bowl ads have much effect on a given brand’s reputation. For whatever reason (read: consistency), Americans now associate Bud with horses and puppies…at least when February rolls around. 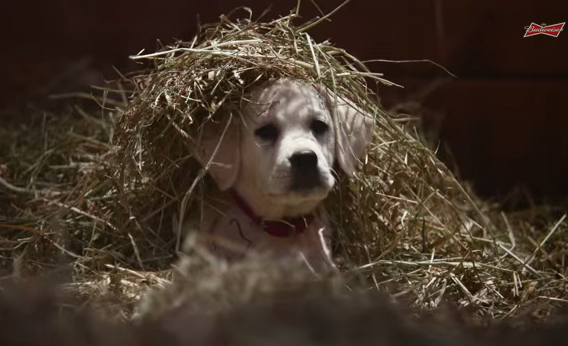 Budweiser’s “Lost Dog” ad is blatantly manipulative and has absolutely nothing to do with the product produced by the company…but it also easily beat every other ad in terms of viewership. Another case study in consistency above all other things: the ad run by Always wasn’t really new at all, but did that matter? Few complained that the brand was repeating itself — and AOR MSLGroup spent much of 2014 making sure that everyone (including many other brands) was familiar with the #LikeAGirl hashtag going into last night’s game. We can only speak for ourselves here, but before we saw this ad (and discussed it with the responsible agency), we only knew that we liked avocados. We had no way of knowing how closely connected the country of Mexico and the world’s tastiest is-it-a-fruit would turn out to be. Nice work on AOR Ketchum’s behalf. We can’t say whether the NFL benefited from running this PSA, but we have little doubt that far more people are now aware of the NO MORE campaign and its parent organization, Joyful Heart Foundation. Has McDonald’s new rebranding campaign been successful in any measurable way? We wouldn’t bet on it. But then, no other brand reached out to every single other Super Bowl advertiser to congratulate them on their great work, either. At the very least, these tweets served as evidence that McD’s is completely determined to maintain its new “We’re Nice Guys” image. Twitter users’ votes show that the plan worked. Goes without saying, doesn’t it? Nice to see dads getting so many shoutouts on a single night, though other clients will probably seem like tagalongs if they choose to jump on this theme over the next few months. Now here’s a TiVo infographic listing the most “engaging” moments of the game.